Sheldon Family Chiropractic in Cedar City, Utah provides quality care to patients through the expertise of Dr. Dean Sheldon. Call our office at (435) 867-8986 for an appointment today! Dr. Sheldon grew up in the beautiful Northwest. After graduating high school he attended Washington State University until he left to serve a full time mission for his church in German speaking Switzerland. Upon returning he moved out to Davenport, Iowa so he could attend Palmer College of Chiropractic and it was there Dr. Sheldon earned his Doctor of Chiropractic degree. Prior to graduation, Dr. Sheldon completed an internship with a well-renown chiropractor in the Seattle area. After graduation, he worked in one of the busiest chiropractic offices in the area, and was able to give tens of thousands of adjustments in the 3 years he was there. 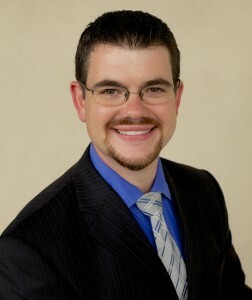 Dr. Sheldon has a great deal of experience with adjusting children, adults, grandparents, and even dogs and cats. He has been blessed to see people become pain free, have happier lives, and even watched paralyzed pets walk again. He has extensive experience working with dancers, athletes, car accident victims, and on the job injuries .